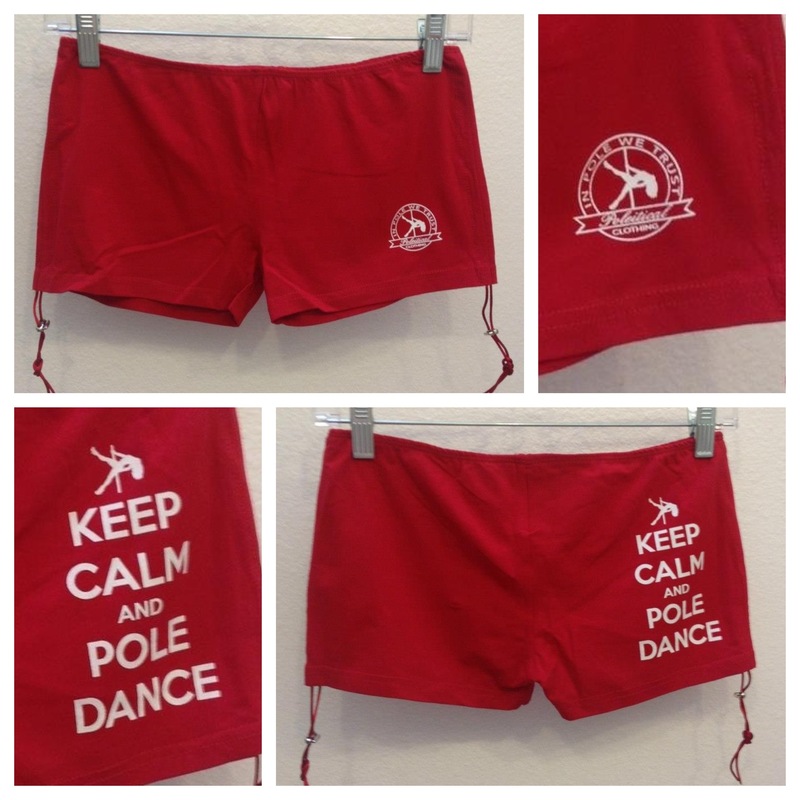 New items from Poleitical Clothing! Pole Show LA was last weekend, and while I promise a post of links soon, I wanted to take a beat to talk about my experience as a vendor at the event! 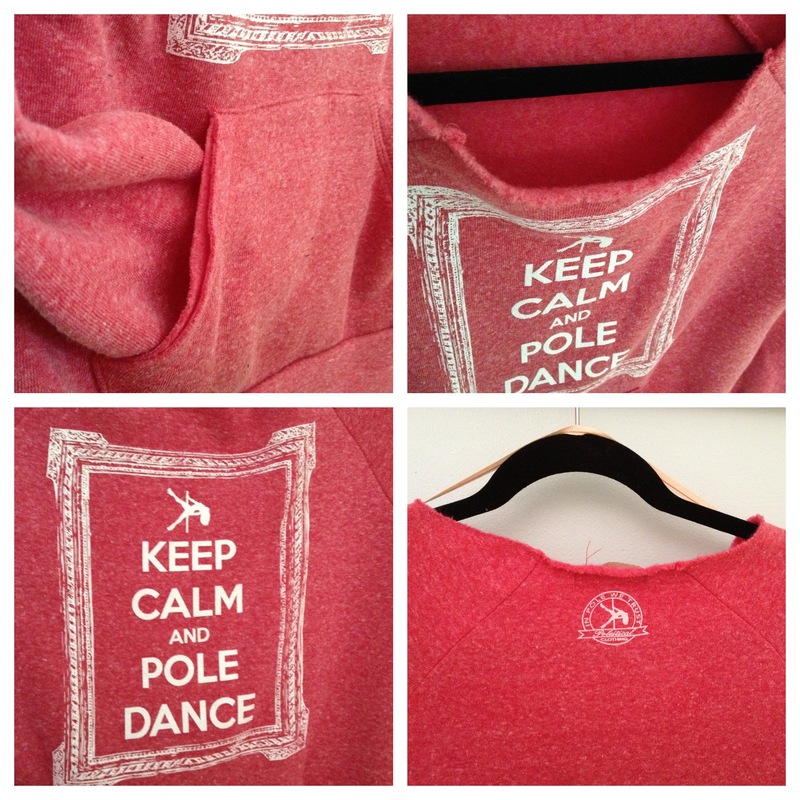 Poleitical Clothing debuted three new items at the show: our Keep Calm off-the-shoulder sweatshirts in pink and dark grey, and our Keep Calm perfect pole shorts in red! 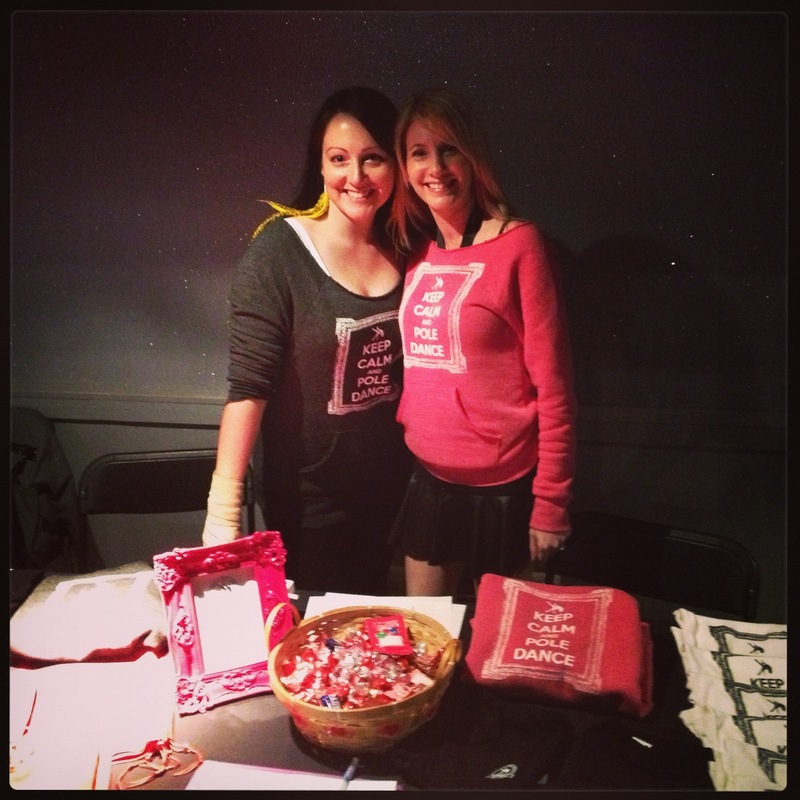 We met so many nice people, and we had some great sales – the sweatshirts in particular were a big hit! I have included detail photos below of all of our new items. 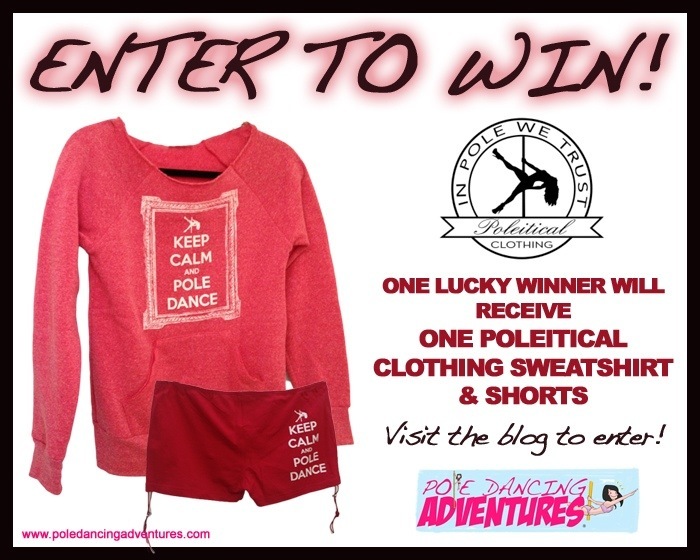 (You can see us modeling the sweatshirts in the header pic.) 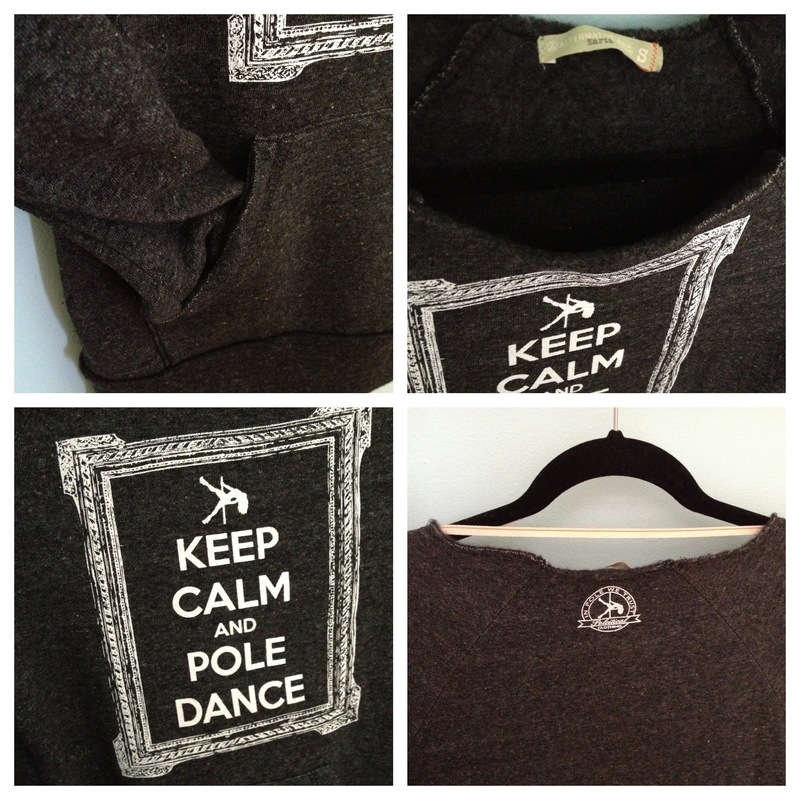 If you’d like to make a purchase, check us out online at http://www.etsy.com/shop/poleiticalclothing! Worldwide shipping is available! Also: if you are a studio or store owner interested in carrying our apparel, contact us for Wholesale Opportunities! !